The oric very does not have a very conventional video system. It is possible to achieve very decent results, but that implies to fully understand the way the oric video system works. This document is a long, but should be sufficient (after a serious reading) to make it possible to whoever to make colorful graphs on ORIC. The idea is to make it the definitive guide to all things graphical on the Oric, which means it will be extended, correct, etc... over time. If you have suggestions about how to make this article better, don't hesitate to contact me! One last note: This document will contain numerical values. When they are preceded by a # or $ symbol the value is expressed in hexadecimal (base 16), else they are just decimal. 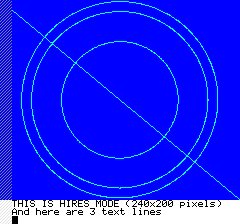 You should recognize without too much problem the video modes called TEXT (blue border), LORES 0 (purple border), and HIRES (yellow border). The last one, outlined in green, is the LORES 1 mode showing its funny mosaic character set. 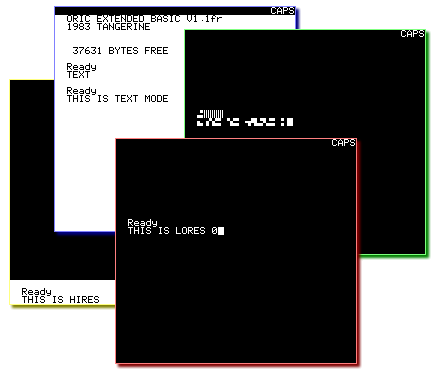 I will not prolongate the suspense any longer: there are no such things as 4 different video modes on the Oric. The Oric video display chip is able to display text and graphics, so we can say that only two video modes exist on this machine, and even then what separate them is quite slim. The TEXT mode is used by default when you boot the computer. You can also invoke it using the TEXT command in Basic, as well as LORES 0 and LORES 1 which are just minor variants of TEXT. In general, the first line - called the status line - is reserved by the system to display information like the name and type of the file being loaded or the status of the CapsLock key, but this is just enforced by software: You are free to use it as any other line on the screen. This makes a total of 3040 bytes. 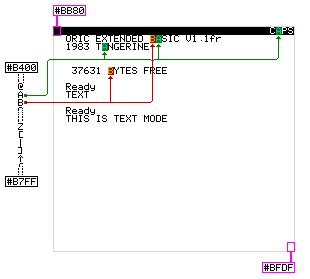 The way it works is quite standard: Each byte in the screen memory contains a value which is the ASCII value of the character that should be displayed there, and this value is used as an index in the character set. So if the first byte of the screen (#BB80), contains the value 65 (ASCII code for the upper case A letter), we know that this block of 6x8 pixels will be filled with graphical information stored at the address #B400+(8*65). 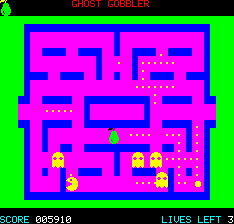 This is, by the way, how most of the Oric games are working: They are using TEXT mode to display fast animated elements, except that they redefined the graphical representation of characters so they look like maze walls, cars or parts of a Pac Man character. You can switch to the HIRES mode using the Basic HIRES command. Structurally it is very similar to the TEXT mode, with 40 bytes per line, with each byte representing 6 pixels for a total of 240 pixels in width. The main difference is that each line is only one pixel tall instead of 8, so there are 200 of these. 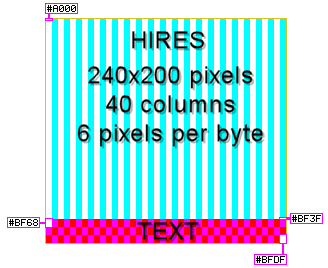 The actual graphical resolution is 240x200, but the screen has an additional area at the bottom containing 3 lines of TEXT mode. This makes a total of 10210 bytes. Let's now address this "6 pixels" per byte issue. The natural memory unit on a 8bit computer is the BYTE. Which is why it's called "8 bit" computer in first place. The logical consequence is that these computers tend to use 8x8 pixels as the natural font size, and tend to pack pixels by groups of 8. The Oric on the other hand only has 6x8 characters, and a weird 240x224 graphical resolution: The reason is that each byte of the video memory contains reserved codes that limit the number of displayable values. On the Oric there is no such thing: There is only one area of video memory, and all the commands sent to the graphic chip are done by writing directly commands inside the video memory by using some reserved control codes different from actual bitmap data. The main consequence is of course that this interferes with what is on the screen: You cannot have a byte on the screen that both represent something to display and be also a control code. It's either-or. A corollary is also the reduction of available bits to represent visual data since some of the bit are used to identify Attributes. As a general rule, any value in the 0 to 31 range has to be considered as an Attribute1, and any value above 127 is using the Inverse Video mode. I will detail these later. 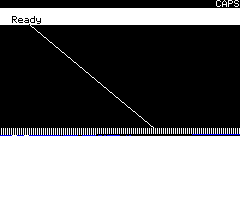 When the oric starts to display one of the 200 scanlines, the value of PAPER is always reset to BLACK, and the value of INK is always reset to WHITE. So without doing anything special you can draw monochrome pictures in 240x200 resolution by using the default BLACK and WHITE colors. I will now explain in details what is probably the most complicated part of the Oric way of doing things: The Serial Attributes. The reason these attributes are called "Serial", is that they are valid only on the scanline they are present (the frequency change is the exception), and only impact what is on their right. Using these values, you should be able to achieve any possible trick known by Oric developer: Mixing character sets, changing the size of characters, having parts of the screen blink, change colors and display rasters, and mix and match different screen modes. It's by using the Color Change attributes that you can get colors on your screen. As you probably noticed on the previous table, the ULA can output pictures at 50hz or 60hz. If no frequency change attribute is used, the system will keep using whatever frequency was used to display the last image. Some of you have been playing on the Commodore 64 and Atari ST, writing values to the video registers while the image was being generated, changing frequency on the fly, resulting in fancy new video modes, distorted displays, border removal, or fancy hardware scrolling. Unfortunately, when it encounters one of the video mode control code the ULA only seem to store the value internally and use whatever was there on the next frame. Technically, a colored Oric picture is just a monochrome picture which happens to have the PAPER and INK values changed here and there. 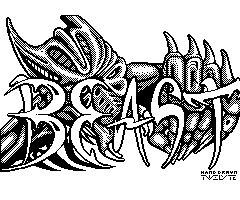 Think of it like if you made a 2 colors picture on an Atari ST or Amiga, and then you used some interruption/Copper to change the color registers values at specific point in time: It would appear as a multi-color picture but bitmap wise it would still be stored as a 1 bit bitmap. Now of course that causes some problems, because you can only change one color at a time, and during that time you can't display graphics. The direct consequence of that, is that the effective resolution for a two-tone image (nonwhite and black) is limited to 228x200 pixels because of the 12 lost pixels on the left side. On this picture the diagonal line does not reach the top left corner because of the CYAN ink and BLUE paper attribute changes. This should also make it clear about what happens on the screen when we place an Attribute: The 6 pixels at this location will use the PAPER color4. If you want to display nicer colored text try to put the INK attribute first, and then the PAPER attribute. The result is the same, except that the first column is black. This way it look like if only ONE column is unusable. You can do the same thing in HIRES, it reduces the shocking effect of graphics starting very far from the left of the screen. The bit 7 is all about video inversion. I . . . . . . . Using the Video Inversion makes it possible to considerably improve the quality of coloring, or hide some attribute changes which would otherwise look ugly5. The video inversion can be used to obtain additional colors without having the constraints of the attributes placement: If you are drawing with RED and YELLOW colors you can invert some bytes to draw 6 pixels blocks using BLUE and CYAN instead. Here the game is using GREEN PAPER and BLUE INK to draw the game background and the maze walls, and by using the INVERSION you get the MAGENTA PAPER and the YELLOW INK to draw the moving elements. A similar method is used here, with BLACK PAPER and YELLOW INK are used inverted to draw the WHITE and BLUE border elements. As written earlier, there are more than one charset available, so we need to be able to select the one we want to use: You do that - again - by using the Serial Attributes system. On the previous table, the values 8 to 15 are the ones we need: Using them we can select between the Alternate and Standard character set, but also enable the Double Size or Blinking display mode. All you need to do is to make sure one of these Attribute value is present before the characters you want to effect, on the same line of the screen. The alternate charset is procedurally generated by a ROM routine. Just add the values to select the "pixels" you want to highlight, and add 32 to the result and write it to the screen. This can be used for generating a pseudo 80x75 graphical mode. Double height allows the video controller to display only one of the halves of a character with a vertical stretching effect. Since the attributes never specify if you want to display the top or bottom part of the character, the ULA must decides itself. The last effect is the blinking. You cannot change the speed of the blinking, because it is based on an internal computation made by the ULA. I suppose that tricking with 50hz and 60hz attributes will change the speed of a 5/6 or 6/5 ratio, but the only sure result is that your TV display will jump. The only effect of blinking is to force foreground pixels (ink) to background when the blink is ON; the background color is never altered by a blinking effect. On the Oric, it is not really possible to achieve hi-tech tricks for doing hardware-scrolling, fullscreen, using more colors, or even display pixels at the same locations than attributes. I hope that the future will prove me I was wrong, but for the moment take this as the Truth7. Anyway, it's possible to mix video modes. When you type ESC+], you just put a 50 Hertz graphics attribute at the position under the cursor. When the ULA reads this character, it switches to the HIRES drawing mode. Then at some point toward the middle of the screen it encounters some values interpreted as a 50 Hertz text attribute and reverts to TEXT mode. The trick is to find a way to move freely between HIRES and TEXT while avoid the traps and sinkhole laying around in memory. In order to mix and match video modes, all you can do is to use attributes at the location you want to force the ULA to start reading information from where you want it to, which means that you need to know the memory layout of both video modes to avoid conflicts. Knowing this formula, you can easily predict where the next byte will be fetched from8. Imagine you want to display colorful text, changing the color each pixel line instead of each character line. You probably noticed that some characters were corrupted. The reason is simply that when writing the INK and TEXT attributes in memory, around the line 100 the address collided with the character set area. The address of theses CharSet tables are $B400 for the standard charset, and $B800 for the alternate charset, which happens to be right in the middle of the memory used by HIRES display. 5120 / 40 (size of a scan line) = 128 lines. 128 lines, is exactly where the screen started corrupted on the first mix screen example screenshot. The important thing to realize is that because a character representation is 8 bytes long they actually fit nicely laid out in scanlines. Each line of the screen overlaps the definition of 40/8 = 5 characters. What this means, is that if you know which bytes of the screen you are going to patch with attributes, then you know which characters are going to be corrupted. In this example, we are writing to the offsets 1 and 2 of each scanline, which means we are altering two lines of every fifth character: A, F, K, P, U, Z, etc... out of 96 characters, 76 remain usable normally. And finally a last example that shows that a HIRES window can be inserted in a standard TEXT mode. Potential applications could be Role Playing Games, documentation or HTML viewers, or really any application where you want to combine the speed of the TEXT display, with the graphical capabilities of the HIRES mode. For a long time, the most advanced oric graphics were still using very basic graphics, were monochromatic, or were suffering for heavy attribute color fighting when things moved around. This game plays well, it's smooth and fast, but it's not particularly pretty. What the designer did is to set the two first columns of the screen with RED INK and YELLOW PAPER attributes, and then use video inversion to get the BLUE and CYAN bricks. 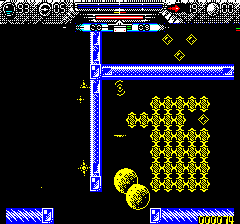 When he was working on his Oric port of the Pulsoids game Jonathan Bristow (aka Twilighte) wanted to achieve something that would look a lot more similar to the original graphics of the Commodore 64 game. 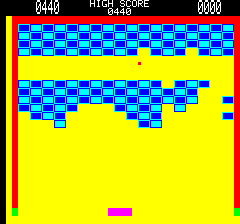 There are obviously many more colors and patterns on the screen compared to the original Breakout game9. What Twilighte did is similar to the method used on Breakout, but instead of using only one combination of main colors and inverted colors for the entire screen, he decided to use two sets of color combinations, inverted every second line. By carefully using video inversion on some of the segments, he was able significant extend the number of recognizable bricks. Since then, there are been quite many games released using variants of this methods, with the same or with different color combinations depending of the context. 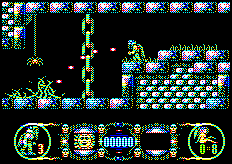 Stormlord features some large sprites and bitmaps, and like Pulsoids used the BLACK color for the paper on all lines. Impossible Mission shown it was working also quite well with much smaller and detailed graphics, including complicated animations. 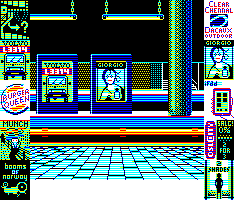 Skool Daze shows brilliantly that using AIC also provides advantages when you want to scroll the game area - as long as you do it on a multiple of 6 pixels horizontally - since there are nothing in particular to do with the attributes except making sure to not scroll them away with the picture itself. The Global Game Jam 2015 entry was originally supposed to have transitions between the various locations depending of the transportation method you choose. This screenshot shows an Oslo metro station, with the animated advertisement screens scrolling up and down to show new ads. And finally, the latest point'n click game from Chema, Blake's 7, still in production today, but which hopefully be released in 2017! If you want to learn more about AIC, I recommend you just look closely to screenshots of existing AIC games, using a 6 pixels wide grid to see where the blocks of pixels start and end. Hopefully this long article provided some answers to questions you had, and maybe gave you some ideas about designing the next Oric killer application!